Satanists, kidnappers, ghosts, and supposedly, a gravity hill—this canyon, popular with hikers, mountain bikers and road racers hides many dark secrets. The chaparral-covered mountain with its twisted road lies between the suburban sprawl of Whittier on one side and the capitalist paradise called the City of Industry at the other. 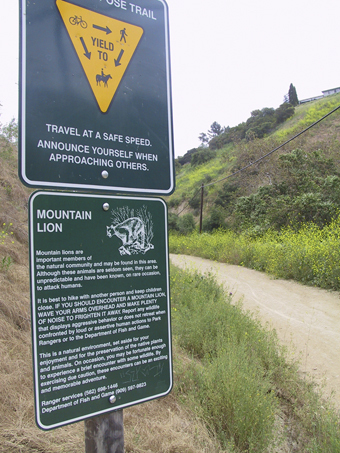 While signs along the trails warn strolling couples and fitness nuts about mountain lions and rattlesnakes, the more sinister features of this area are known only to some unfortunate locals as well as finer connoisseurs of the weird. History tells us that like many unhallowed places in North America, the area now known as Turnbull Canyon was considered off-limits to the Native Americans who first roamed sunny southern California. They called it “Hutukngna,” which supposedly means “the dark place.” The Indians, called “Gabrileños” after the nearby San Gabriel Mission, were converted and supplanted by the Spanish, who often killed those who refused to convert to Catholicism. Turnbull Canyon may be the site of at least some of these depredations. In 1845, the Spanish governor of Alta California deeded most of the land in what is now Whittier to two white settlers, John Rowland and William Workman, who emigrated from Taos, New Mexico, where they ran a successful fur-trapping business. 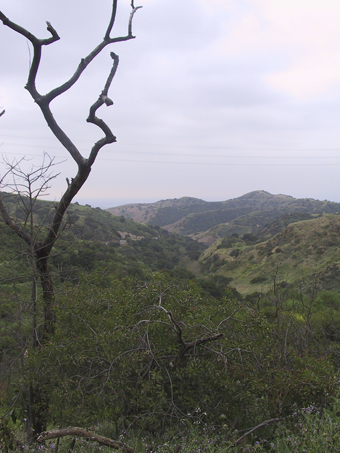 The huge 49,000-acre spread included the present site of Turnbull Canyon. Workman was not well-liked by the Gabrileños, who initially staged constant raids on his property. He built a tunnel and living space under the home to protect his family. Later, when the Indians actually worked for him, they reported seeing ghosts and “witches” in the subterranean passage, which ended at the family burial ground. Workman was also involved in a plot to usurp the governor who had originally given him his land, and carried all of this bad juju to the end of his life. He lost most of his property and money in a failed banking enterprise with his son-in-law, and shot himself in 1876. During the Depression years, rumors started that Turnbull Canyon was the site of strange rituals involving a child and baby-selling cult. Some claim that the area is still used for satanic worship, or something equally evil. An anonymous source recently reported an old metal sign far up the canyon was spray painted with the words “Die Jesus.” We must assume that the sign was not written in German. An insane asylum was apparently once located somewhere in the now weed-choked floor of Turnbull Canyon. It flourished in the 1930s, but burned down in the early 1940s. Sometime around 1962, a group of teenagers were partying in the ruins and legend has it that one of the more daring boys was killed by the remains of a long-dormant electroshock device, which pumped several thousand volts through his drug-addled brain. Witnesses have also experienced ghosts of children (presumably victims of the kidnapping cult) and figures swinging by the neck from the limbs of scraggly trees, although most of the scarier information on the Canyon comes from a website of dubious provenance. But a real tragedy did occur on the road in October of 2002 when a 17 year-old girl was killed and later dragged behind a car for five miles. A CHP motorcycle officer was killed by a drunk, possibly road-racing driver on the east end of the Turnbull Canyon Road in September of 2005. The constant twists and turns are an irresistible lure to fans of a new sport called “drifting,” in which the driver attempts to negotiate turns by skidding through them. The cop was killed after a night detail which was dispatched to nab Drifters. The gravity hill spot is so debated that it is well-nigh impossible to locate, but we wouldn’t advise stopping, since you’re liable to be rear-ended by a thrill-crazed racer, and become yet another tragic ghost that haunts Turnbull Canyon. I’ve Heard it All––And Some of it’s True!